MoreThomas Sandifer and his team of legal experts have been providing affordable legal services for a successful 22 years by working closely with our client's needs. 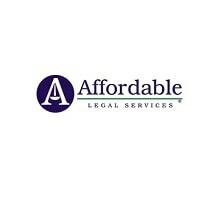 We are dedicated to creating a hassle free legal process for our clients. Our legal services are focused on traffic and criminal matters. Whether you're facing felony, misdemeanor, drug or stealing charges, we are happy to accommodate a resolution for your case. Your initial consultation is free!...Thomas Sandifer and his team of legal experts have been providing affordable legal services for a successful 22 years by working closely with our client's needs. We are dedicated to creating a hassle free legal process for our clients. Our legal services are focused on traffic and criminal matters. Whether you're facing felony, misdemeanor, drug or stealing charges, we are happy to accommodate a resolution for your case. Your initial consultation is free!